Some tips to easily remove strong synthetic stubborn holi colors from your hair, face & body. No doubt that prevention is better than cure. Read How To Prepare Your Skin, Hair & Body For Holi to more. I'll advise you to play Holi with dry natural colours for environmental reasons, it will also helps in saving water for later when you are actually going to need it. While taking bath, you must rinse your hair in water for a good 10-12 minutes before doing shampoo. Before washing hair, mix fenugreek (methi) with curd and apply the mixture on your scalp for 30 minutes before shampooing your hair. That would help you take off the colours from your scalp and hair. While you are removing those colors from your face, you can mix calamine with honey and rosewater. This would prevent any irritation and rashes from harmful synthetic colors. For people with oily skin, a pack of Multani Mitti can help ease your troubles. Honey, mixed with a mashed tomato or papaya acts as a perfect scrub when applied with Multani Mitti. You can also use curd, gram flour (besan) , turmeric (haldi), olive oil and lemon to make a paste and then apply that on coloured parts of your body. That's it! 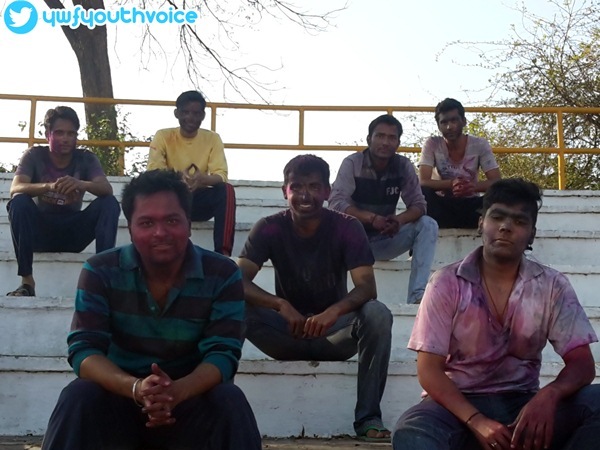 Remember the most important thing is to make sure that you enjoy your holi at its best!